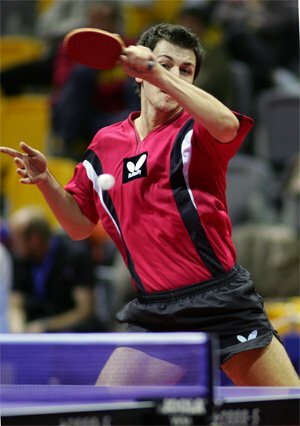 A good table tennis stroke will dramatically improve your game. The most important table tennis stroke in the modern game is now the attacking stroke. That's because the game of table tennis has become a sport that's dominated by attacking / offensive players. The defensive style of play, once popular in equal measure, has significantly diminished. So, one of my top table tennis tips for you is ... learn how to play table tennis using an aggressive, attacking style of play rather than any other style. 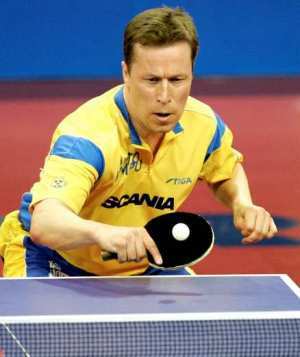 But of course, before you can play any table tennis stroke, you'll need to master some of the basics first. 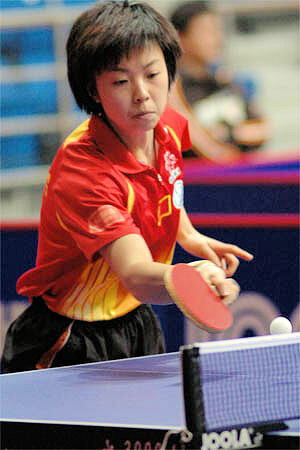 To play any table tennis stroke effectively, you'll need to ensure that you're using the correct table tennis grip. My guide will help put you on the right track. When practising these exercises, try to ensure that the angle of your elbow is approximately 90 degrees and that you leave a reasonable space between your elbow and your body. 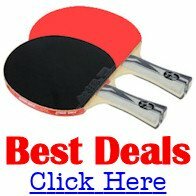 So what table tennis stroke should you learn first? With so many different table tennis strokes to learn, you'll probably wonder where to start. Well, the easiest table tennis stroke to learn first is the backhand push. 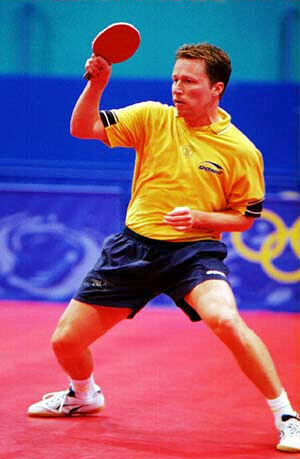 Then you should move on to the forehand drive, followed by the backhand drive, and finally the hardest of the four basic table tennis strokes - the forehand push. To play this stroke, stand close to the table and take a stance facing the line of play. Using a short stroke, your racket arm should move from the elbow in a horizontal plane whilst your free arm should point towards the ball to assist with your balance. Strike the ball on the back bottom portion so that you impart slight backspin. This shot would normally be used when your opponent plays his shot in such a way that, if you didn't hit the ball, it would bounce at least twice on your side of the table, i.e. short over the net. The purpose of this stroke is to stop your opponent from playing an attacking stroke, so you should try to make sure that your shot is also played short over the net. This shot would normally be used when your opponent plays his shot in such a way that the ball approaches you with height and/or depth. Using a medium stroke, your racket arm should move forward and slightly upwards in the direction that the ball is to travel, whilst your free arm should point towards the ball to assist with your balance. The racket angle should be slightly closed, and by keeping a loose wrist you can impart topspin as you move your arm forward. The purpose of this stroke is to stop your opponent from playing an attacking stroke, so you should try to make sure that your shot also stays short over the net.